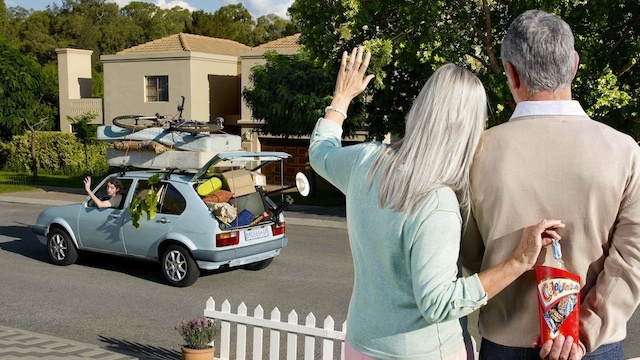 Financial strength may allow a record number of adult children to move out of their parents house. Will this increase apartment absorption or home-ownership? A June 2017 Marcus & Millichap research brief says that the adult children who will move out are likely to rent. The research brief noted, “The catalyst for the releasing of these pent-up households is the increasing number of part-time workers making the jump to full-time employment as the underemployment rate declines.” Job openings are at an all-time-high, resulting in a 16 year low for unemployment. The financial strength young adults are gaining from entering full-time employment is enough to begin relying less on parents for financial support. Renting gives young adults their independence without the hefty costs of buying a home, while still paying off student loans. A recent CNBC Money article reinforced the prediction of the continued increase in renter-ship trends. The article referred to a NerdWallet analysis that concluded, “homeowners in all 50 states and Washington, D.C., pay from 33% to 93% more for housing each month than do renters living in the same state.” The Southeast United States region was on the lower end of the scale with the states ranging from 33% to 50% high home-ownership costs than renter-ship. In North Carolina and Tennessee, it costs 49% more to own a home, with South Carolina and Georgia falling slightly behind at 43%. 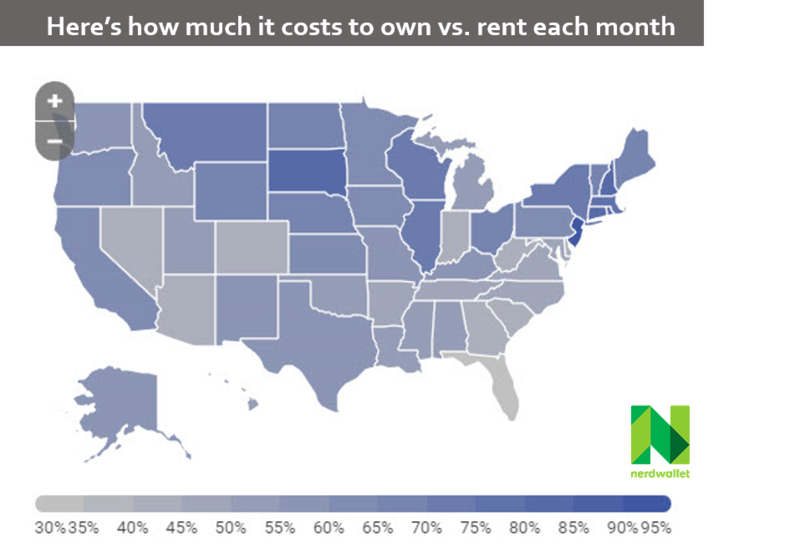 To determine the monthly home-ownership premium, The NerdWallet analysis compared median gross renting costs to median home owning costs across the US in 2015. Owning a home was significantly higher due to the costs of monthly mortgage payments, real estate taxes, insurance, and utilities versus monthly rent costs and utilities. The analysis did not include the cost of a down payment lenders require to buy a home, which is typically 20% of the home price. Data from the US Census showed the median sales price of houses in the South were $284,000 in 2016 and $274,600 in 2015. In addition to high home owning costs, Marcus & Millichap reported a 4.1 rise in overall average US rents and boosted multifamily absorption in 2017; indicating the continued demand for multifamily apartments. The M&M report highlighted “Renter demand sustained by steady job & household creation,” which leaves an abundance of opportunity for investors to earn consistent and desirable returns from apartments investing. High returns are possible because local multifamily operators can offer lower prices to residents by only charging rent and utilities compared to the home-ownership premium. How can you earn passive income from multifamily apartments? Click the image below to find out!